Guarantee pleasant dreams and achieve a new level of well-being with this most stylish bed linen. 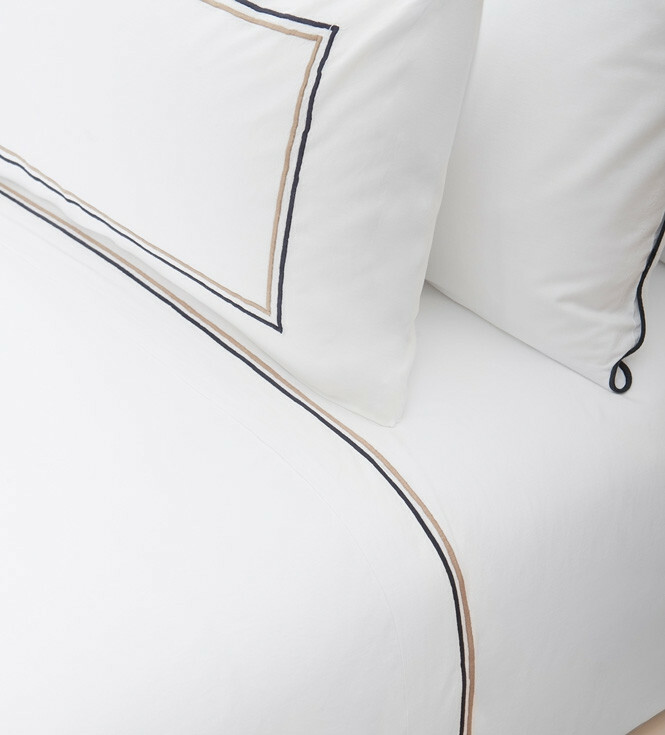 A white pillowcase with a modern design, its inner perimeter is attractively edged with a double decorative stripe in black and beige. 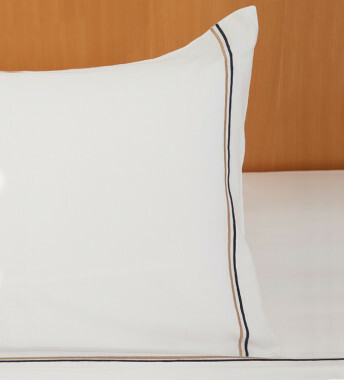 This pillowcase is made from a high-quality, breathable, eco-friendly fabric which is super-soft and a pleasure to touch. 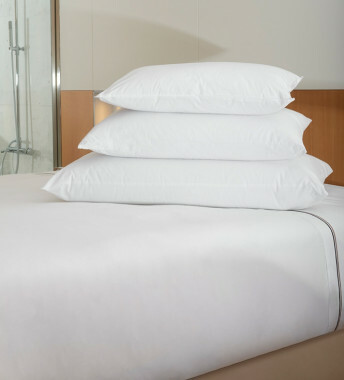 It is available in five different sizes and forms part of a complete set of bed linens in organic cotton, with pieces available to purchase separately. 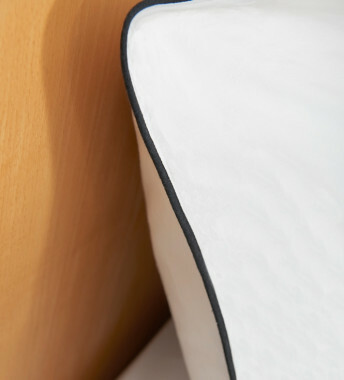 An irresistible invitation to relax.